UPDATE: Due to the disaster response as a result of Hurricane Florence, the nationwide test of the Emergency Alert System (EAS) and Wireless Emergency Alerts (WEA) has been postponed until October 3rd. On Wednesday, October 3, 2018, the Federal Emergency and Management Agency (FEMA) and the Federal Communications Commission (FCC) will conduct a nationwide test of the Emergency Alert System (EAS) and Wireless Emergency Alerts (WEA) beginning at 2:18 p.m. ET. The test will assess how ready the distribution channels are for sending out a national emergency message when necessary, and to determine whether improvements are needed. 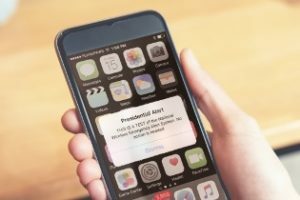 The Federal Emergency Management Agency (FEMA), in coordination with the Federal Communications Commission (FCC), will conduct a nationwide test of the Emergency Alert System (EAS) and Wireless Emergency Alerts (WEA) on the backup date of October 3, 2018 due to ongoing disaster response efforts to Hurricane Florence. The WEA portion of the test commences at 2:18 p.m. EDT, and the EAS portion follows at 2:20 p.m. EDT. The test will assess the operational readiness of the infrastructure for distribution of a national message and determine whether improvements are needed. See FEMA National Emergency Alert System Fact Sheet here for additional important information. Another very important part of disaster preparedness and safety planning is to be sure your family’s emergency kits are up to date for home, car and workplace – Now is a great time to take care of this!